Hemang Dave is an investor with a focus on Energy, Metals, and Agriculture on a worldwide basis. His former experience as Founder/CEO of multiple startups allows him to serve as a mentor to entrepreneurs. He is involved at the Board level with the Deshpande Foundation and the MIT Deshpande Center for Innovation and Entrepreneurship. 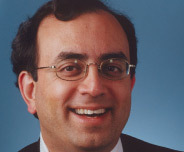 He has served in senior management roles at CMGI, Lotus Development, Prime/ComputerVision, and as an engineer and sales within IBM. He earned his BS EE/CS in Electrical Engineering from the University of Connecticut.